Cafe 338 is very popular, customers queue outside waiting for an available table. There is non-stop action in the kitchen at the rear to feed the hungry diners. Traditional gingham table cloth, sugar pourer and a squeezy tomato on every table. Possibly the biggest breakfast menu I had ever seen! 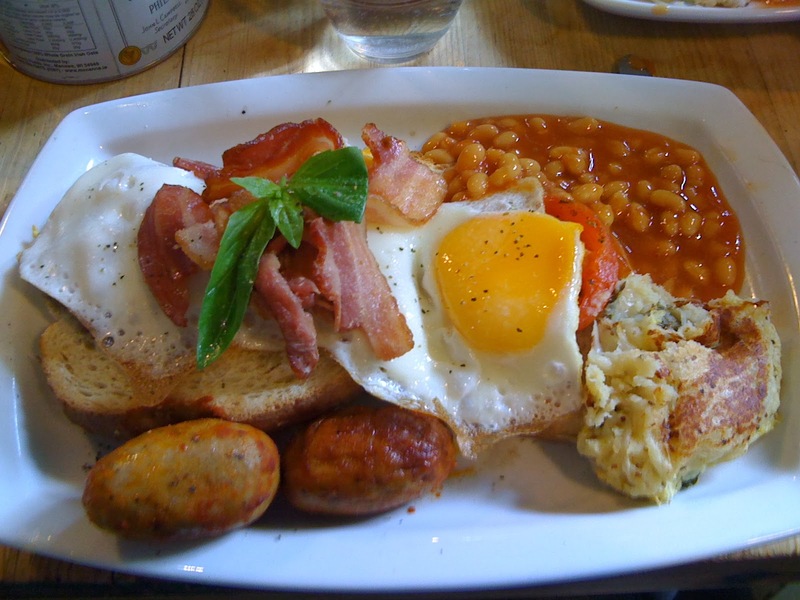 Many combinations are possible, one day I may well return to build my dream breakfast. Frothy coffee or tea comes with all breakfasts. Stunning presentation but an economy sausage isn't a pretty sight. Delicious and juicy tomato slices. Plenty of mushrooms and bacon. A beautifully fried egg lay on a slice of fried bread, the sausage can be replaced with a decent one if you pay extra, I wish I had spotted this earlier! The slab of bubble and squeak was good stuff! The breakfast was so filling the toast didn't get a look in, it looked nice enough though! The big veggie breakfast comes with onion rings (an odd choice) and is also impressively presented. 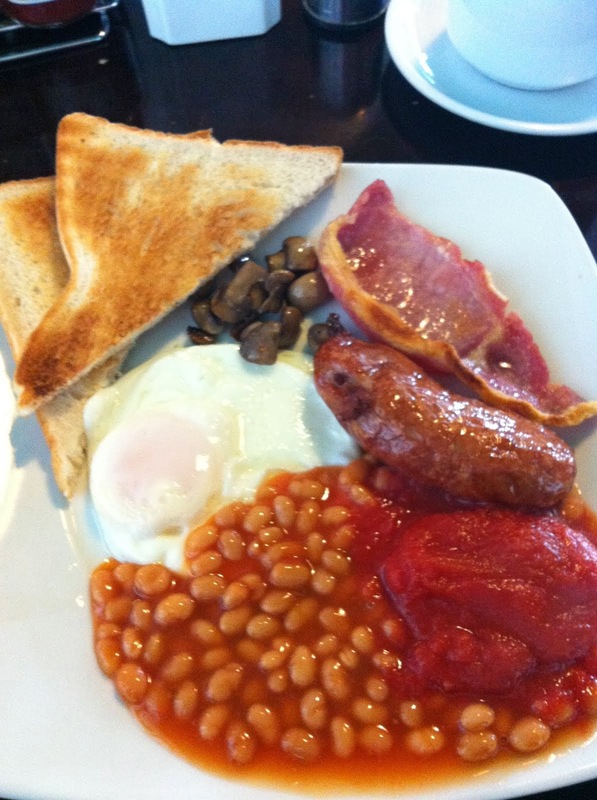 We were going to see our friends band play in London and had booked a night at Liverpool Street Travelodge, the perfect excuse for another fry up inspection! Cafe 338 seemed a popular choice and was only three shops away from the legendary E. Pellicci. With a bit of a hangover from the night before we entered feeling relieved at the sight of an empty table in the corner..
Veggie option - Yes, 6 set breakfasts or build your own. The cafe is housed inside the former staff mess and barracks of Norwich prison. The view across Norwich is amazing! Once on Britannia Road look out for the signs, they will show you the way in. A spacious and nicely decorated interior awaits you. The mismatched furniture works nicely with the decor. A menu is on each table along with flowers and a table number. Everything on the menu is very reasonably priced. The first coffee was really weak so we asked for another one, this was not a problem. The second coffee was much better, I popped some cream in. The breakfast arrived piping hot and nicely presented. 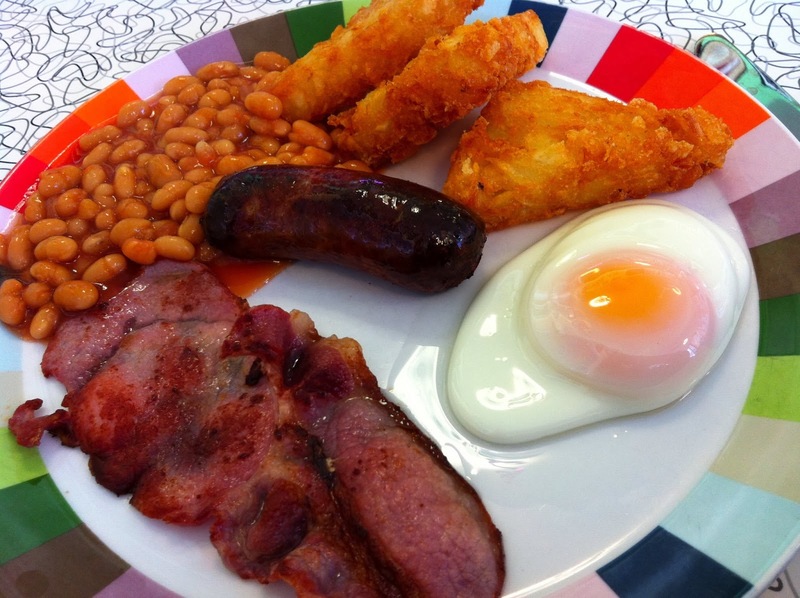 If you want a bigger breakfast then pay £1 extra and you will get another sausage, slice of bacon and a hash brown, bargain! A delicious and quality sausage and slice of bacon, beans are served in a pot. The generous portion of mushrooms were amazing and the nicely cooked egg was delicious. The toast comes with the breakfast but a little longer in the toaster would have been nice. A friend recently mentioned that Britannia Cafe had just opened at Norwich Prison, the cafe gives prisoners the opportunity to work in the cafe learning new skills and qualifications. You can read a recent news article about it here. I was keen to visit in a few weeks time but found myself there earlier than I had expected on a visit for coffee and a slice of cake. Once inside though the breakfast was an irresistible option so the inspection began.. I returned today with my wife and discovered these sausage rolls that were still hot from the oven, a bargain at just £1 each. A lovely buttery pastry and great blend of pork and herbs, delicious! There was a selection of homemade cakes on offer for just £2 a slice. This huge slice of carrot cake was really good with a nice moist texture. 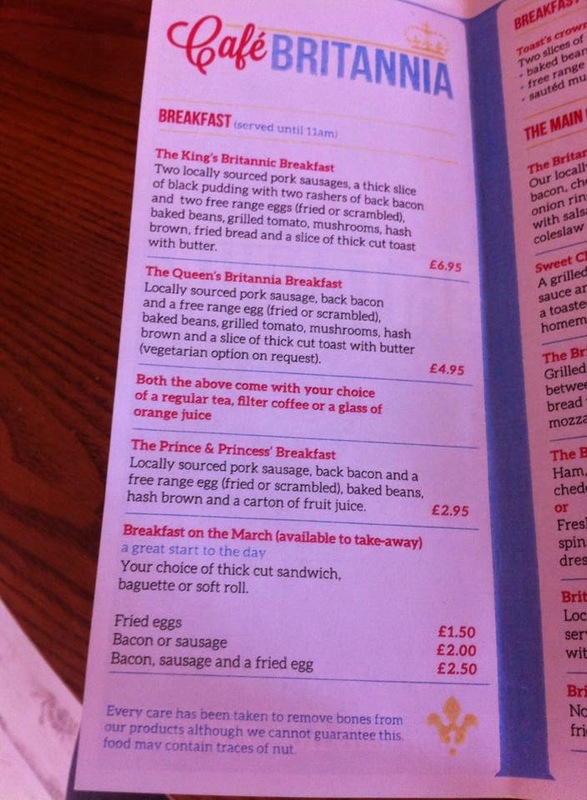 I had heard that there was a new breakfast menu at Britannia Cafe, this time offering a much bigger breakfast than before and including black pudding and fried bread. This was something I had to try and also something that could potentially adjust the review scores enough for Britannia Cafe to enter the "recommended" section of the blog. When I placed my order I discovered they were out of mushrooms which was a great shame, they did however offer me an extra hash brown. This breakfast was massive and a side plate for the toast may have made eating it a tad easier, it was all cooked superbly though and tasted excellent! A total of 3 hash browns ensured I would not be leaving hungry and those beans were piping hot in there own little bowl. The meat side of the plate with 2 quality sausages, a heap of tasty bacon and a thick chunk of black pudding. The black pudding had a lovely coarse texture and tasted really nice. 2 slices of thick cut fried bread, crispy and not holding too much oil went nicely with those perfect fried eggs on top. This time I found the ketchup too but didn't realise you have to collect your own cutlery, luckily the chap bringing the breakfast over was happy to bring me some. With the mushroom situation on this visit I decided it would be better to return again when there is some and re-review the breakfast again then. One thing is for sure though, Britannia Cafe are serving a really impressive breakfast and are clearly popular as it is always busy when I visit, loving the Kings breakfast, keep up the great work!! Some places I have discovered in Brighton. I will add more places as I visit them. Joe's Cafe. Read about it here. Bills Cafe, Restaurant and Store. Read about it here. Rock Ola. Read about it here. Kensingtons. Read about it here. New Madeira Hotel. Read about it here. The Unthank Kitchen is a popular cafe in Norwich's golden triangle. Inside is fairly small with around five tables and can get very busy, the outside decking area is a very popular option in the warmer months. 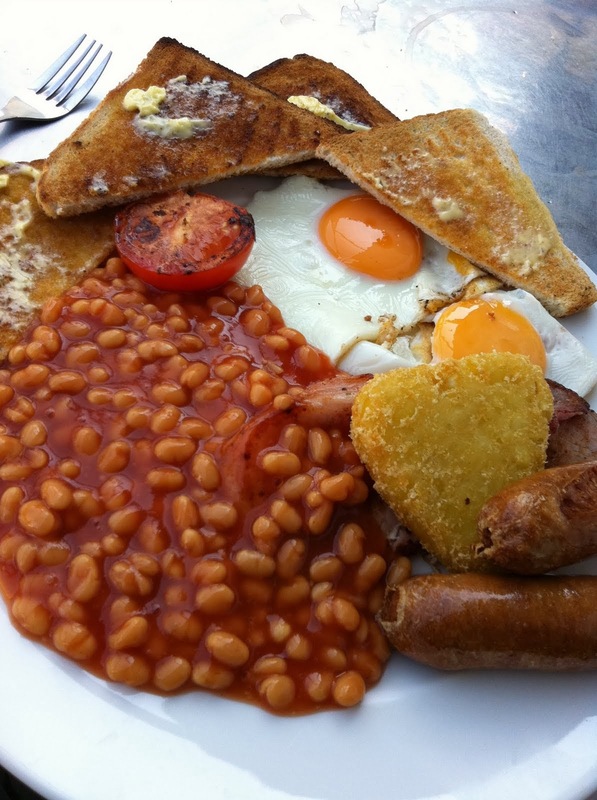 A good breakfast menu that looks after meat eaters, vegetarians and those on a gluten free diet. A nice selection of items make up each breakfast but strangely no tomatoes? Order your food and pay at this counter, the kitchen is also behind here. The blackboard displayed a tempting proposition "add black pudding or bubble and squeak to you breakfast" I couldn't resist so added both! Sauces and menus found on each table. Coffee costs £2 and sugar awaits in a classic pourer. With black pudding and bubble & squeak added to my bumper breakfast I was visually just fried bread and tomatoes away from fry up heaven. Nice mushrooms and beans with a good consistency. Good black pudding and nice enough bacon. Delicious quality sausages but not very hot, the hash browns were crunchy and piping hot though. A nice looking fried egg but uncooked egg white could be seen lurking. The toast was underdone and cold preventing the spread from melting, this was a similar issue on my last visit. The bubble and squeak was excellent, plenty of flavours going on and a great texture. The veggie breakfast, my wife ordered tomatoes (not listed on the menu) and got them! She enjoyed everything but was not such a fan of the bubble & squeak and had similar concerns to me regarding underdone toast and uncooked egg white. 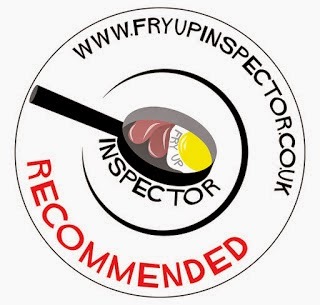 In June 2010 I visited The Unthank Kitchen in Norwich, it was fry up inspection number seven, read the 2010 write up here. Nearly four years on and I decided it was time to return again and replace my original article with a more up to date version..
Veggie option - Yes and gluten free too! View the breakfast menu here.